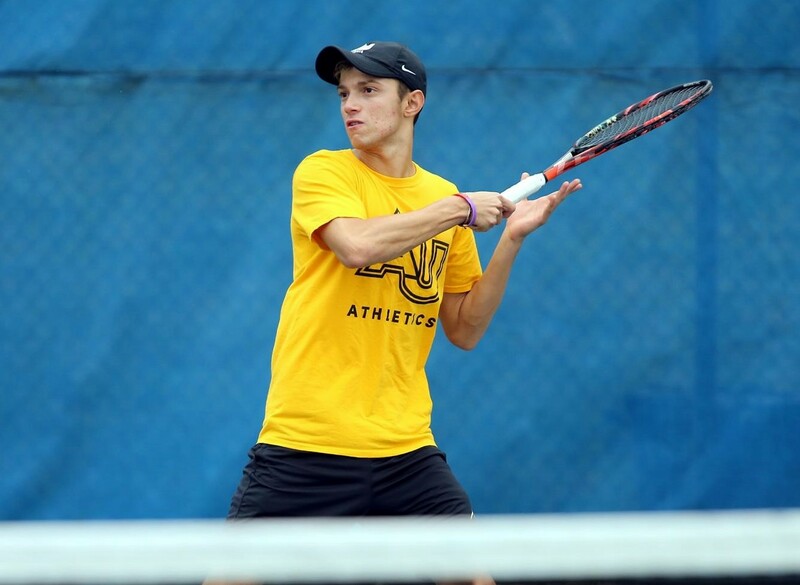 Luke Attride-Stirling and his Adelphi University Men's Tennis teammates dropped their spring opener to Long Island rival New York Institute of Technology (NYIT) indoors at Syosset Sportime, in a match rescheduled from February 12th due to inclement weather. Attride-Stirling and his Doubles partner Ilya Kalabukhau playing in the number two spot would go down in a tie-breaker 7 – 6, 7-2 in the tie-breaker to Nicolas Castaldo and Yago Granda. Sophomore and 2017-18 Northeast-10 All-Rookie selection Attride-Stirling played the tightest Singles set for Adelphi University in the match overall, playing in the number three spot he pushed senior Maxton Cook to a first-set tiebreak before falling in two 7-6 (7-5), 6-2.